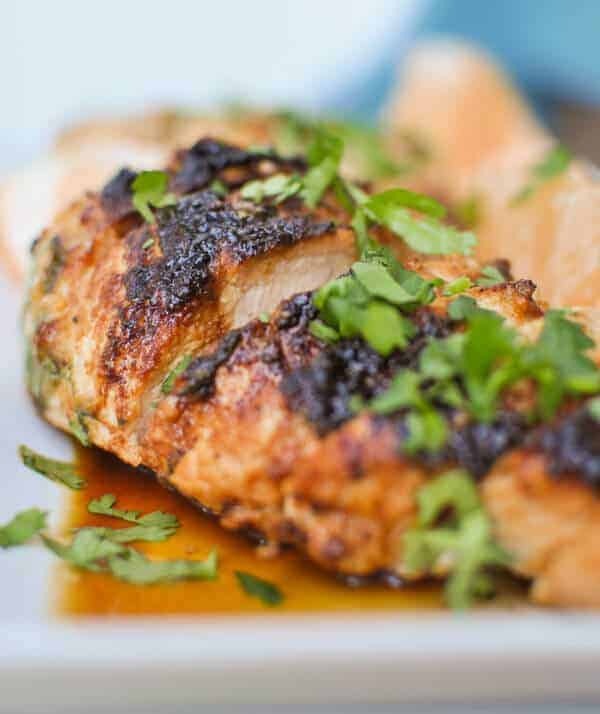 This Paleo turkey tenderloin recipe is light, juicy, and slightly sweet and tangy. It’s just different enough to be special enough for company, but easy enough to make anytime you feel like it. 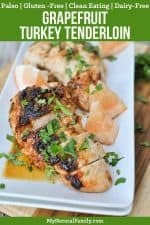 This Paleo turkey tenderloin recipe was a juicy, delicious, and happy accident! The other day, while at the grocery store, I came across an organic turkey tenderloin that was on sale for a good price, and I never pass up a good price on high-quality organic meat because it happens so rarely. Anyway, I got home, and stuck it in the fridge instead of the freezer, because I wanted to use it sooner rather than later, plus I had an idea for a marinade brewing in my head. The next day, I took the tenderloin out of the fridge and started putting together the ingredients for the marinade, but I didn’t get too far. I had initially wanted orange juice in my marinade, but the orange that I thought I had…I had eaten a few days earlier…Hmm, should I run to the store? 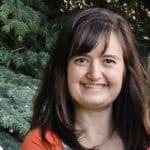 I could, it’s only 5 minutes away, but then I would have to pack my kids in the car, and listen to them beg and beg me for a treat, and finally give in (right before dinner) because I was sick of hearing about it. Instead, I decided to improvise. I had a grapefruit in my fridge, so I thought, why not? Wow! I am so glad I decided to go with the grapefruit. I am 99.9% positive it was a better choice than the orange. Turkey tenderloin is really lean cut of meat, so it tends to come out dry when cooked, but I assure you, this was far from being dry. It was juicy with just the right amount of sweet and sour flavor from the grapefruit. Both my husband and I couldn’t get enough of it! It is going right on my weekly dinner rotation menu; it’s super yummy, flavorful, and simple to make. My kind of dinner! 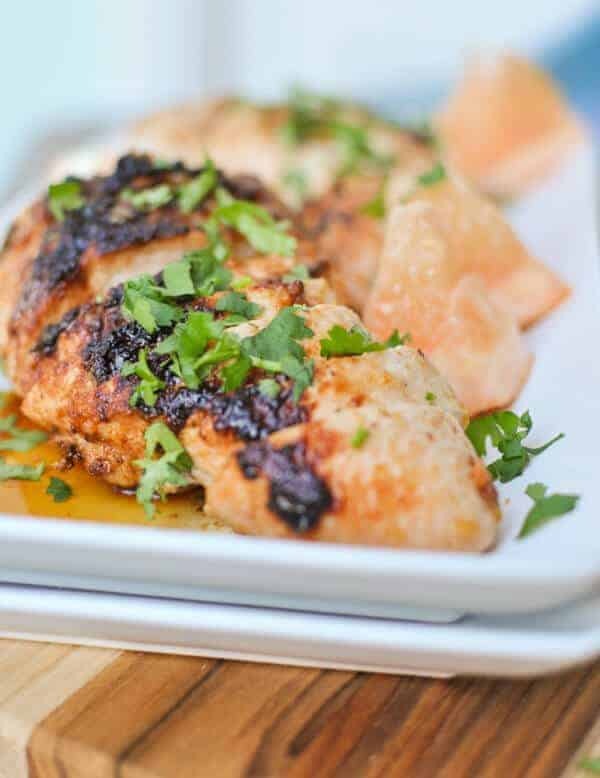 I know marinades can be a pain since you have to plan out a dinner that far in advance, but it is worth it – promise. I have not used a pork tenderloin for this recipe, but I am guessing that it would work as a substitute. Have had turkey tenderloin before? I don’t know why I don’t cook with turkey more often. Every time I do, I think I should cook it more often since it tastes good and is healthy and is refreshing to have more variety of meat. 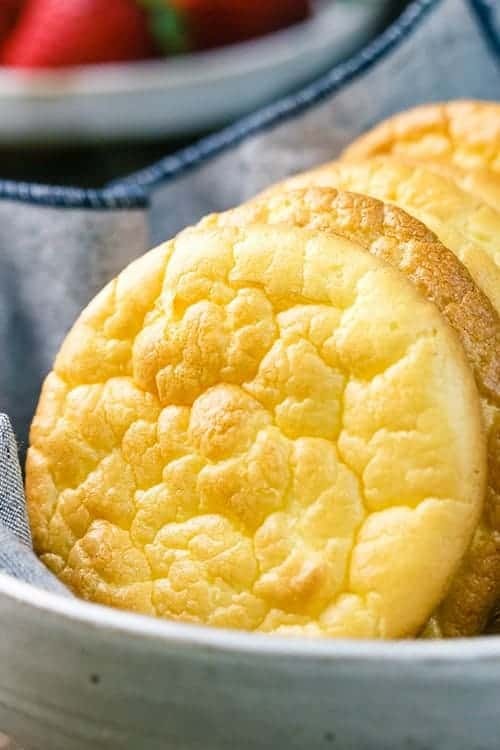 I would love to know what you think of this recipe. Please comment below and let me know what you think! 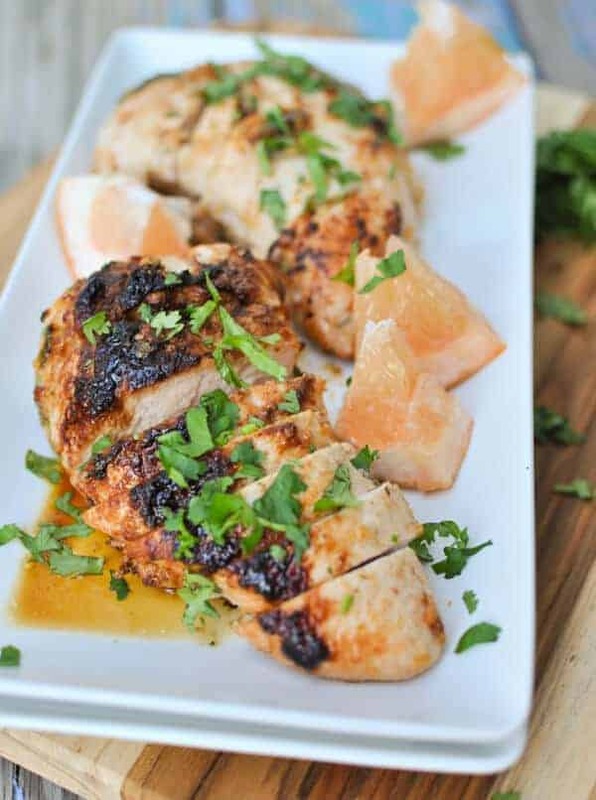 This Grapefruit Glazed Turkey Tenderloin is juicy, flavorful, simple and delicious. It is a tasty and healthy weeknight dinner option the entire family will love. I never thought of combining grapefruit and turkey, but why not? I’m going to try it Maybe it’s kind of like pork chops and applesauce. I’m open to it.